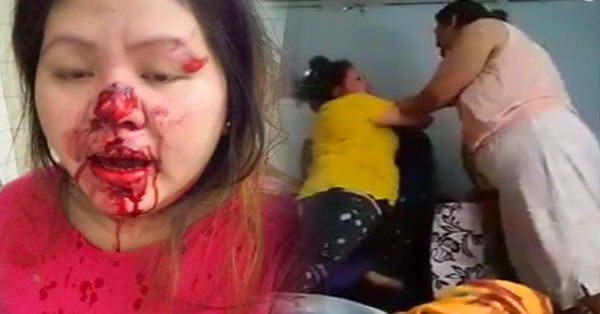 WATCH THIS: Look How This OFW Was Badly Injured After Her Employer Forced Her to Stay! A horrible video of an Overseas Filipino Worker (OFW) was uploaded online and now circling in various social media. The footage seemed that she was being forced by her employer to stay. The OFW wanted to go home that time as it has been said that her contract with the employer already expired. The said OFW who was identified as Ginirise, the employer attempted to confiscate the passport and some documents to her. As seen also in the footage was that the employer was trying her best to get also Ginorose' luggage. Aside from the passport and papers, her employer tried to get her mobile phone in order not to communicate with the Philippine Embassy. 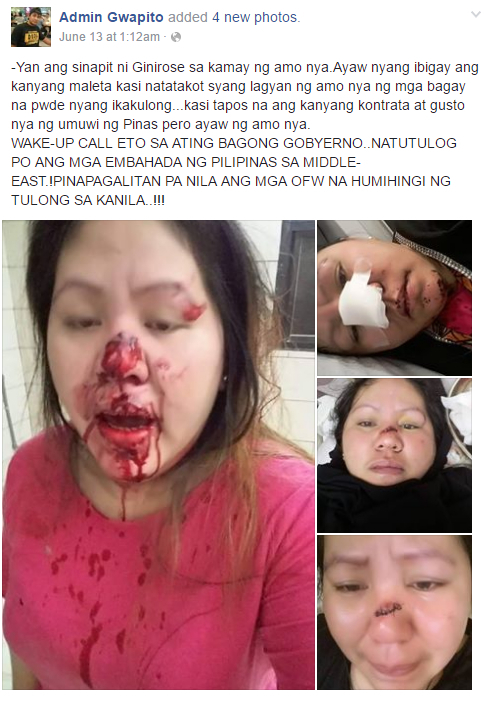 As Ginirose refused to open her luggage, she was assaulted by her employer that led to a bloody fight and got wounded in her nose. There were also photos showing how badly she was injured that time. It is so sad to hear some stories of Filipinos who used to work for other countries that have been abused by their employers. Filipinos' clean, good intentions to serve other people are sometimes being misused that they may take their life at risk.